We appreciate people that love to get involved, so we are glad that we can grow up together. For this reason, we are proud to say that some of our colleagues have been with us for the last 5 years and counting. Experience is not necessary, only the will to learn and grow. Performance and bonuses come together in Blue Point. This way, we make sure our employees are motivated every month. You get better every day, not only professionally, but also from a personal perspective. You have constant access to resources which make you a better professional. For instance, you receive every month a free pass to one of the largest libraries in the country. We care about our employees’ state of mind, so every month we organize internal activities that make us all smile. We have for example ice cream days, candy floss days and sometimes hot chocolate days. You will be part of important projects and you will act as the voice of renowned brands. Not to mention that you are part of one of the best customer care companies in the industry. 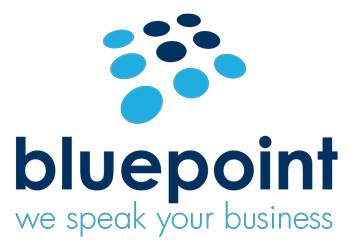 Blue Point means over 10 years’ experience on the Romanian call center market, over 300 people who love their work, many well-known clients, an enthusiastic results driven team and 16,000,000 customers assisted by Blue Point. We are the voice of our clients. We may be the welcoming voice at the other end of the line or we may be contacting our clients’ customers trying to come forward and address their needs and requirements. We are driven by results and we have the energy and desire to address various work projects. We are a team and we trust that what we do matters. We are happy to grow together.